How can you accelerate early success as an author? You can use digital marketing and analytics to build your online brand with more wins and less wasted time and energy. And at the St. Louis Publishers Association meeting on June 14, PenPath founder Alex Cruz will teach you how. Authors attending can expect to become more polished in what is happening in the digital marketing world as it pertains to driving sales and building a personal brand. Success stories from PenPath’s clients will follow, as well as a Q&A session. Attendees will see tactics, creative work, and the process used to drive results. Join the SLPA on June 14 for tried and true first-hand digital marketing experiences from PenPath and its clients. Alex Cruz is a digital marketing expert and the founder of PenPath. While attending the University of Missouri, he founded his first online publication, which reached millions of readers globally. 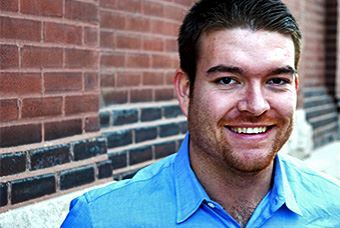 He later started an analytics software startup that turned into what is now one of the fastest growing digital agencies in St. Louis.